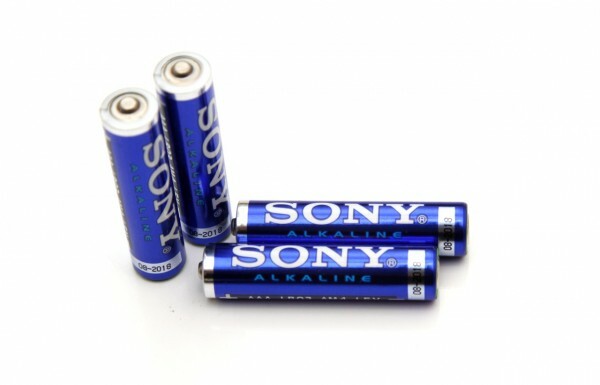 The 1.5V AAA Sony Stamina Plus Alkaline batteries are supposedly better than the standard Sony Alkaline batteries and not as good as the Stamina Platinum series, so they should be mid-range Alkaline batteries. The expiration date on the batteries we have used for testing was 08-2018, meaning they should be offering 5 years shelf life which is not a bad thing to have if you plan to use them in low drain applications. It is more important however to see what capacity they will be able to provide in our test to see if they are a good choice or you might be able to get better Alkaline batteries then them at a better price for example. Starting our test of the 1.5V AAA Sony Stamina Plus Alkaline batteries as usual with a low constant current discharge rate of 0.1A we have managed to get just 772 mAh as capacity , a result that we consider a bit disappointing, especially considering this is not the “lowest-end” Alkaline batteries from Sony. Testing with higher loads the batteries do manage to perform quite well compared to others we’ve tested, bt again not that good capacity as we’ve expected to see from Sony.